IC Markets Review | You Must Read Before Trading With This Broker! IC Markets is headquartered in Australia and one of Australia’s biggest forex brokers competing with Pepperstone. IC Markets has become one of the forex brokers known around the world thanks to spreads, competitive pricing and high-quality customer service. So I decided to write an IC Markets review that I think would be useful for investors. 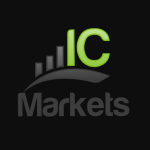 IC Markets, like Pepperstone, is one of Australia’s biggest forex brokers. Ever since I opened this review blog, I have often been asked to do ICMarkets reviews. The company owns a large number of investors from different countries around the world. Due to similar features, many investors are comparing IC markets vs Pepperstone. Both offer quality service, but the IC Markets website has about 4 times more visits. Probably the number of investors is about 4 times higher than Pepperstone. In this ICMarkets review, you can find the differences between two brokers. IC Markets was founded in 2007 in Sydney-Australia and has been regulated by ASIC since 2009 with the license number is 335692. Australia’s ASIC regulation is one of the most reliable regulators in the world. ASIC requires licensed brokers to comply with various rules and to meet specific requirements. Clients’ money is to be held in segregated trust accounts, separated from the companies’ operating funds. As for the minimum capital requirement, forex brokers must keep at least $1 million to prove their good financial standing and to operate legally. IC Markets also has an insurance agreement for the protection of investors as Professional Indemnity Insurance with Lloyds of London. The company works with Australian National Bank and Westpac Banking Corporation from Australia’s top-tier banks. The client money is held in the client segregated trust accounts these banks. ICMarkets broker cannot use these funds for any operational expenses or purposes. IC Markets is a member of the Financial Ombudsman Service (FOS). FOS is an approved Australian external dispute resolution scheme that fairly and independently resolves disputes between consumers and member financial services providers. I can say it is a reliable broker for those who are worried that is IC Markets scam or not. There is no commission on the standard account type, but there are variable spreads from 1.0 pips. As you can see from the table below, spreads on the standard account are on average 1.1 for the EURUSD parity. However, spreads in ECN Accounts are at 0.1 level. In contrast, ECN accounts have commissions. I can say that spreads are competitive. If you are interested in other licensed brokers that offer competitive spreads, you can view the list by clicking the button below. Let’s talk about the IC Markets’ commission rates. 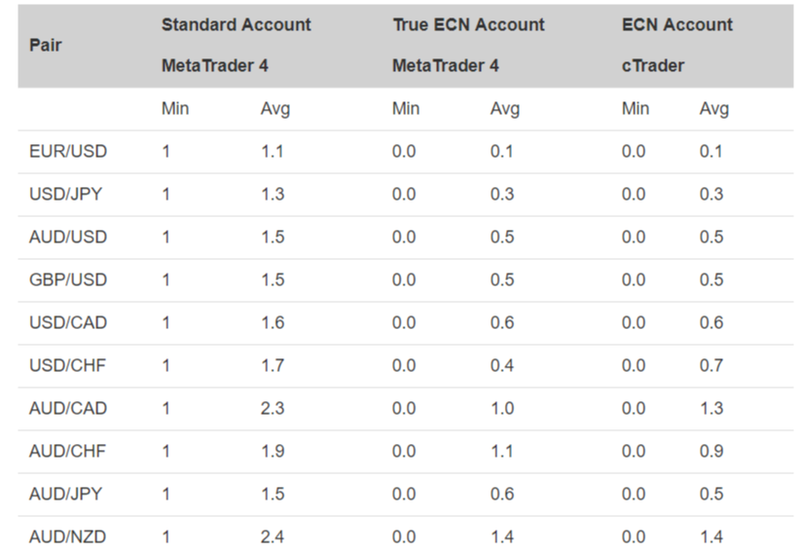 If you open a Meta Trader 4 True ECN Account, the commission on this account is $ 3.5 per standard lot (100k units). This is just a commission when opening a single transaction. The same commission will be charged when the transaction is closed. So the round turn commission is $ 7 in True ECN Account. If you use a cTrader ECN account, the commission is $ 3. The round turn commission is $ 6. The fourth type of account is the swap free a.k.a IC Markets Islamic account. This account usually uses by Muslim investors who do not want to earn or pay interest because of religious belief. To open an Islamic forex account, you first need to open a standard account or an ECN account in IC Markets. You should then contact IC Markets to apply for an Islamic account. IC Markets Australia may ask you to document your religious beliefs. It also has the right to reject your application. IC Markets offers 1: 500 leverage to investors. Maximum leverage is 1: 500. The minimum deposit is 200 dollars. ICMarkets support variety trading platforms such as MetaTrader4 (MT4), MetaTrader5 (MT5) and cTrader. This is an advantage to offer three popular platforms compared to other brokers which offer just MT4. MT4 is still the most popular platform each other. You can use the platform on your Mac, iPhone/iPad, Android smartphones and the WebTrader version. MT4 provides all the tools and resources a trader needs: many technical indicators, advanced charting package, a wide range of Expert Advisors (EAs). EAs are especially useful for experienced users. When EAs allow the platform of trades, the software does all the work without even having to touch it. There is also Multi Account Manager (MAM/PAMM) option on MT4. Besides, IC Markets offers the cTrader platform, which is custom-made for use in ECN environment. The IC Markets cTrader suite includes a PC, web and mobile versions, as well as automated trading software cAlgo. ICMarkets offers a wide range of markets such as forex, commodities, indices, bonds, cryptocurrencies, stocks and futures. In the forex market, traders can take advantage of the tightest IC Markets’ spreads, IC Markets’ leverage across 60 currency pairs. It also offers to trade in some of the most popular cryptocurrencies – Bitcoin, Ethereum, Litecoin, Dash and Bitcoin Cash. If we look at the swap rates, IC Markets swap rates offer long and short for all of their currency pairs and metals. IC Markets supports a wide range of languages. The company has support staff that speaks English, Mandarin, Cantonese, Japanese, Korean, Italian, Spanish, French, Polish, Russian and Hungarian. Besides these, it provides mail support for 57 different languages. When you simply write down your problem, it is answered in the same language. I want to compare the two Australian forex broker in this review. Both have advantages each other. Let’s see which one is better. The first comparison is about Regulation. Pepperstone is regulated by ASIC and FCA. IC Markets is regulated by ASIC. So, Pepperstone is leading in this step. When we look at the account types IC Markets offers almost the same conditions with Pepperstone. In platforms and tools, Pepperstone is one step ahead. However, about the product portfolio, IC Markets is closing the gap. In this Pepperstone vs IC Markets comparison, I could not decide which one is better but if you are looking at a more trustable broker Pepperstone is for you. It doesn’t mean IC Market is unreliable but Pepperstone has two reputable licenses. You can see all the details in the Pepperstone review about the broker. According to the information stated on the IC Markets website, Any withdrawal requests submitted through the secure client portal by 01:00 GMT (12:00 AEST) will be processed on the same day. IC Markets offers a large number of trading instruments. You can trade in FX pairs, indices, cryptocurrencies and commodities. Let’s take a closer look at these. Forex Pairs: You can trade in 60 different FX pairs. Major pairs are all included. The majority of minor parities and some of the exotic parites are also included. Maximum leverage is 1: 500 for trading at FX pairs and the minimum deposit is $ 200. Indices: IC Markets offers 15 different indexes as CFD for trading. IC Markets offers 15 different indexes for trading. This includes preferred indexes such as US30, US100, DE30, ES35. Futures: Futures at IC Markets include ICE dollar index futures, CBOE VIX index futures, Brent crude oil futures, WTI crude oil futures etc. Commodities: You can trade commodities as CFD. They include palladium, platinum, gold and silver, spot energy contracts, sugar, wheat, corn, soybean, and coffee etc. Bitcoin: You can choose to trade on Bitcoin. The leverage is 1:5 if you trade bitcoin. To summarize all my writings, IC Markets is a licensed and trusted forex broker known all over the world. It has millions of visitors and investors from different countries. Besides these, the company offers a wide spectrum of trading instruments from commodities to bitcoin and indices. IC Markets’ customer service is very good and multilingual. One of the forex brokers I can recommend. You can click the button below to open an account. I think IC Markets deserves its 5 stars. Give it a try! I am an investor who is trading with large volume and I can say that IC Markets is one of the best you could find. low spreads, reliable regulator, fast executions, good customer support. I have introduced several other investors who are also happy with this broker. Last but not least, the withdrawals are super fast. do you use ECN or standard account? i’m having a hard time deciding which one is better.